Philadelphia School District officials say that schools in the city will open on time now that the city has promised to come up with the $50 million the district says it needs. For a look at the struggles that teachers in Philly have faced over recent years, read the recap of recent school district history by Mary Beth Hertz. NCLB waivers are at risk in three states, Politico’s Caitlin Emma reports. Kansas, Oregon, and Washington are now considered “at risk” by the Department of Education as they haven’t sufficiently tied student performance to teacher and principal evaluations. But Maine, I guess, is behaving nicely as the Department of Education approved this week the state’s NCLB waiver request. Louisiana is boosting the funding for its new Course Choice program, which allows high school students to receive credits for classes taken from a variety of vendors, including for-profit companies. 4000 students have signed up so far. The Department of Education says it will reconsider changes it made to the eligibility for Parent PLUS Loans. According to The Chronicle of Higher Education, denials for loans “shot up by 50 percent for parents of students at historically black colleges and universities,” which along with members of Congress, have asked the DOE to revisit the new rules. New York City says it will issue scorecards on teacher colleges. Because "data," I guess. Two people were shot, one fatally, along the Chicago Public Schools’ “Safe Passage” route on Saturday. The “Safe Passage” route has been touted by city officials as a way for thousands of students to get to and from school safely, many of whom have been affected by the recent school closures in the city and will have to walk farther this academic year. India has launched a national repository for open educational resources. The Department of Education has approved a competency-based degree program at the for-profit Capella University, reports The Chronicle of Higher Education. Pearson says that it released the wrong grades for 4000 students in Virginia. Ooops. Students at Chelsea High School in New York had to retake their Regents Exam as McGraw-Hill lost the original copies of the tests. They “fell off a back of a truck." Ooops. Georgia teen Anthony Stokes was initially denied a place on the heart transplant list Children’s Healthcare of Atlanta “partly because of his history of low grades and trouble with the law.” As news of the story spread, the hospital said it had changed his mind and had added Stokes to the transplant list. I’ve glossed over the recent Matt Damon and M. Night Shyamalan education hoopla here, I realize. Because good grief… But hey, Pitbull isn’t a movie star, he’s a record star. And he’s opening a new charter school in Miami. So party on! A federal judge has denied class action status in two lawsuits that are seeking to block the school closures in Chicago. According to Amazon’s Textbook Rental Terms and Conditions, students who rent textbooks via its subsidiary Warehouse Deals cannot cross state borders with their books, or they face being charged the full purchase price for the book. More on this silliness via Inside Higher Ed. Khan Academy has introduced “Learning Dashboards,” which developer Ben Kamens calls the “biggest change to Khan Academy yet.” The dashboard tracks student progress and makes recommendations about what videos/exercises to work through next. NovoEd, a startup recently spun out of Stanford University that focuses on small group, social learning within online courses, announced several entrepreneurship classes taught by Kauffman Fellows Academy, Babson College, and Stanford University instructors. A full list of the classes is here. On the heels of Learnist and Educlipper’s efforts to be the “Pinterest for Education,” Pinterest has announced that it wants to be the “Pinterest for Education” and has launched a “Teachers on Pinterest” hub. The nerve! Study Blue has added a feature called “Class Stats,” a new assessment tools for teachers to track how students are performing in their study sessions. Reclaim Hosting, part of the super-duper-most-important-education-initiative to help students, teachers, and schools “reclaim your domain,” is now live. More details (and a plea for some interim financial support) via Jim Groom. More former Zynga employees are getting into the education technology business, according to the gaming site Gamasutra, launching a development studio called Kidcore. Oh joy. Edsurge reports that ePals is launching a lesson plan marketplace. Because, hell, everyone else is. 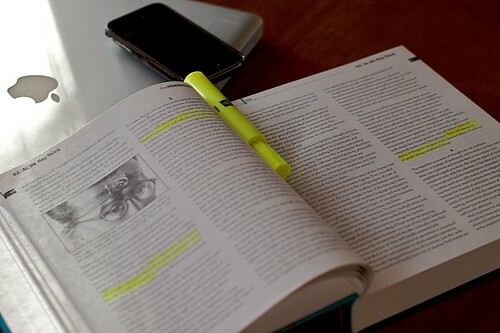 Textbook rental company Chegg filed the paperwork for an IPO this week. Fortune’s Dan Primack raises some interesting questions about the filing, including the role that digital services might play in the company’s future. The online tutoring company InstaEDU has raised $4 million in Series A funding from Battery Ventures, Social+Capital Partnership, and other investors. According to Edukwest’s Kirsten Winkler, the Facebook-based study app Hoot.me has been “acqui-hired” by the education data startup Civitas Learning. Terms of the deal haven’t been disclosed. Startup Weekend Education has a new general manager, Mandela Schumacher-Hodge, TFA alum and founder of the education startup Tioki. The Wall Street Journal reports that “more than half of [New York City]’s high schools are in violation of state regulations that require schools to employ either part-time or full-time librarians, depending on enrollment.” But the city’s asking for a waiver on that regulation. Under Secretary Martha Kanter will be stepping down, leaving the Department of Education where she’s served since 2009 and returning to academia. The University of North Texas says it plans to eliminate adjunct-taught classes over the next year, adding more full-time faculty. US Representative George Miller requested data comparing ELL students’ learning at charter schools and public schools, and the GAO has responded by saying that the Department of Education doesn’t have good data to answer that question. About one third of charters, according to the GAO, do not indicate how many ELL students they enroll. It has recommended that the DOE explore if there are other gaps in the charters’ data reporting. The Pew Internet and American Life Project released a report this week on teens and online privacy. (PDF) It finds that teens rely on one another for privacy advice; just 9% turn to a teacher. Librarians weren’t even mentioned. Hmmm. What does this say about how schools are (or aren’t) helping students understand their digital identities? The NCES released four reports this week on US education data: characteristics of public and private elementary and secondary schools, principals, teachers, and library media centers. Edublogs’ Sue Waters has released the annual “State of Educational Blogging” report, which contains loads of interesting information about the numbers and the uses of blogging in and out of the classroom. Teachers are known to spend a lot of their own money on classroom supplies, but according to a report by Share Our Strength, 63% of teachers report buying food for their classroom to help feed hungry students. Forbes has published a list of the most and least “financially fit” colleges in the US. Among those to which the magazine gave an A+: Princeton, Columbia, Harvard, Swarthmore. Among those with a D: Southern Virginia University, Oklahoma Christian University, and New York Institute of Technology. After decades of denying that it has surveilled Noam Chomsky, documents obtained by Foreign Policy reveal that the CIA did indeed keep a secret file on the MIT professor. Past tense. Because the FOIA shows that the file has been destroyed. So nothing to see here! Move along! Wireless baby monitors are pretty easily hackable, says Boing Boing, making it easy for anyone to peer into baby’s bedroom. Golly, I can’t wait ’til Bill Gates has his way and we have cheap-o cameras monitoring every classroom, eh?